So what do you do while you are waiting for your shipment of Sodium Hydroxide (lye) to come in and you want to make soap? Why, you rebatch some of your older soap into something new! I'm practically chomping at the bit to get back into real soap making. With my last Frankensoap disaster, I've had to reorder the correct lye and wait, wait, wait. I ordered from Brambleberry.com, which is an AMAZING supply company, but dang it takes FOR EVER to receive their orders. It averages anywhere from 10-14 days for me to get my orders from them, as they are on the West coast in Washington state. For this reason, I normally don't order from them unless I want something specific and even then I wait till I have a big enough order to make it worth the wait. ANYWHO, so I'm rebatching some of my previous batches of soap where I didn't like how they turned out. Rebatching (also sometimes called milling) is where you shred-up hard soap, melt it back down using a cooking method, add a new color or fragrance if desired, and then remold it. Most home soapers use soap-only crockpots to rebatch or hot process soap. So, if you buy soap that's been "triple milled" it means that it was made, shredded-up, remelted, and remolded three times. Milling soap is said to make it a more solid and creamier soap, but I'm no expert. 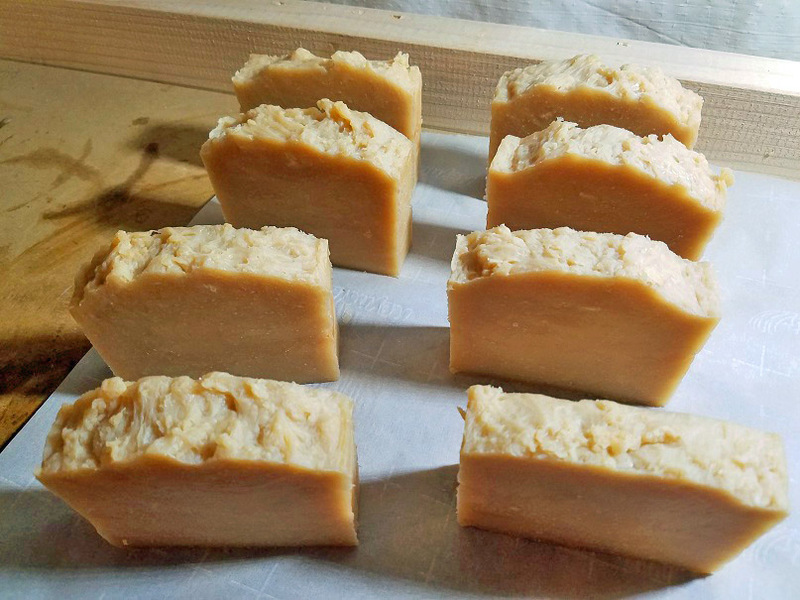 Rebatching soap has many benefits of being able to reuse soap that didn't turn out as expected, or if you forgot to add an ingredient, or even if you'd like to add finicky fragrances that react badly during the traditional lye/oil/water saponification process. Since rebatched soap has already saponified, fragrances won't behave badly or fade like some are prone to do in cold or hot process soap methods. Some soapers do nothing but rebatched soap for this very reason. They buy bulk orders of unscented and uncolored soap and turn it into what they want. Another plus is rebatched soap can be used right away, but does benefit from a few days-to-a-week of drying time. 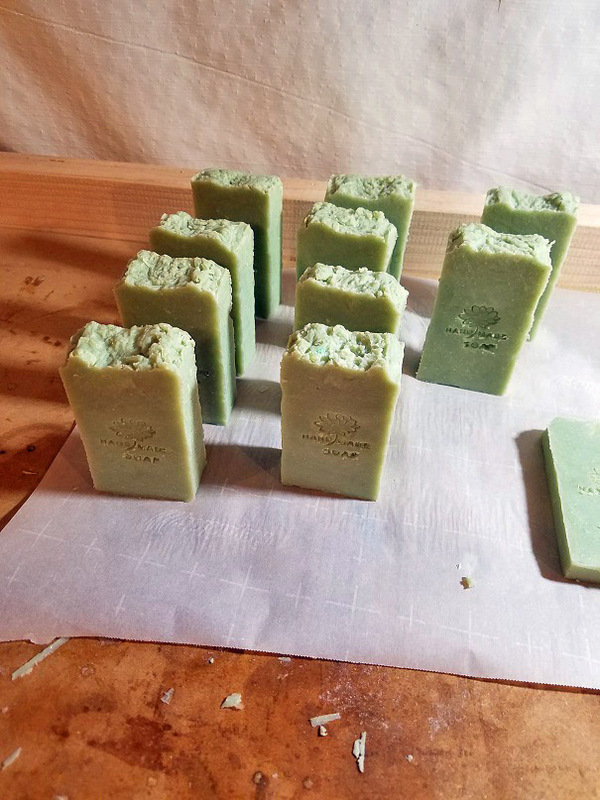 The only downside that I can see to rebatching soap is that it often is more difficult to make into pretty designs and it looks more "rustic". So, I decided to rebatch some of my old Honey Soap where I didn't melt the oils down hot enough during initial processing and the soaps felt a little scratchy when used. I added just a touch more Pure Honey fragrance oil to the melted batter before molding. I think they turned out surprisingly well and from the sample sliver I tried in the sink to wash my hands, they are silky smooth to use! I will know for sure in a few days. Yesterday, I shred-up and rebatched my old Pear Lime and Cucumber Melon soaps that didn't turn out the way I wanted. 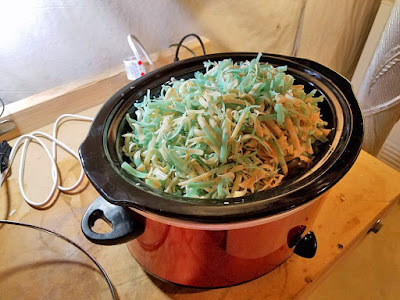 I was hoping the shreds would melt down to a very light green and I wanted to rescent with "Apple Sage" fragrance oil. They turned out adorable and I even stamped them with a generic soap stamp. 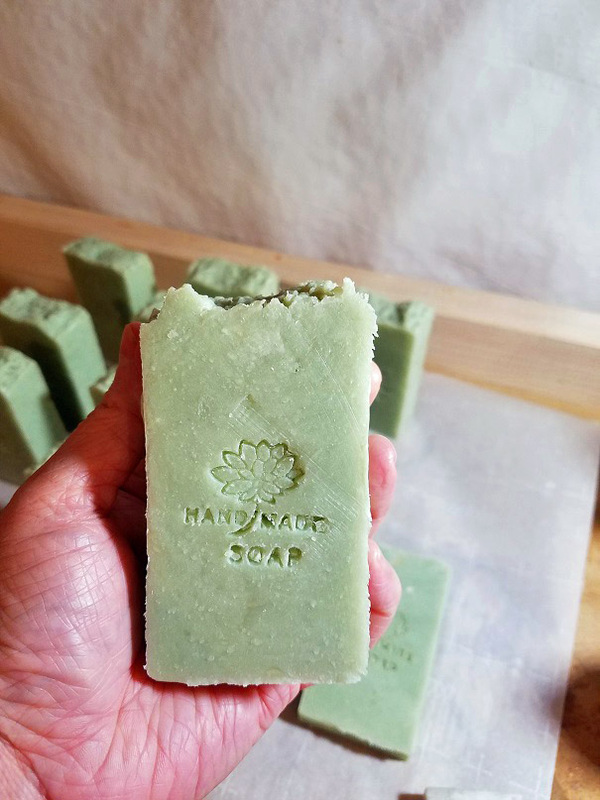 Rebatching is a lot of fun; I shredded, melted/cooked, molded, unmolded, and cut that "Apple Sage" soap in a single day! The good news is my lye order came in yesterday so I'm back on track...I have a lot of catching up to do.